How to Recover Data from a Water Damaged Mobile Phone There are few things that can be more distressing than seeing a blank screen when trying to open a mobile device after it has suffered water damage. While it can be easy to panic at first, there are things you can still do to retrieve some of the crucial data on your phone. This could be essential if you haven’t backed up your contacts or have lost important information. In this article, we’re going to give you the proper course of action if you’re in this situation or if you ever have to face it in the future. The first thing that should be done once your phone has suffered water damage is try to salvage it. If the device is still on, shut it down immediately. This could actually increase the chances of recovery later on. You should next remove the phone’s case if there is one and remove both the tray and sim card. Remove any moisture from the surface of the phone with an absorbent cloth. Some of the unofficial signs of water damage include the phone turning off as soon as it boots or the device refusing to turn on at all. Or, you could get a blank white screen if it’s an IOS device. 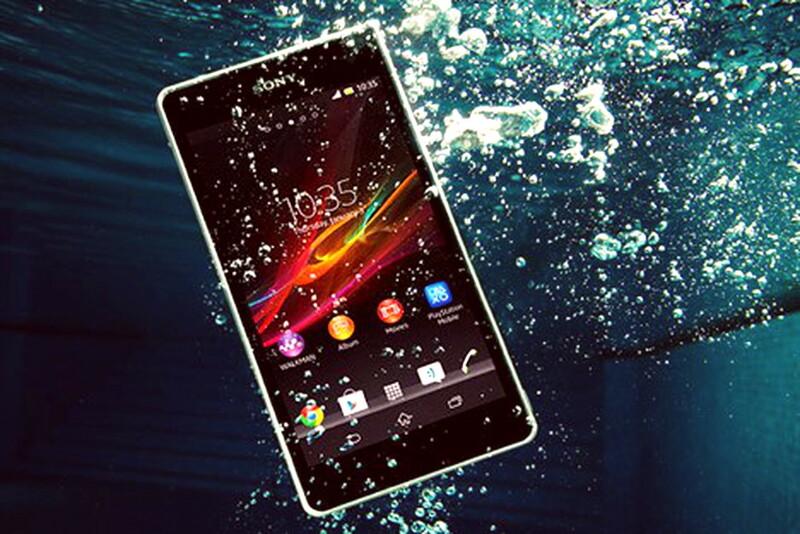 Android devices will often show unusual error messages after water damage. [post_ads] But if you really want to know if your device has suffered damage, Android and IOS devices both have color indicators that will change color when in contact with water. With Androids, these will usually be inside the device, while IOS devices will have indicators on the side of the phone that you can check. These can slightly change location depending on the device, but Apple has diagrams that show exactly where they should be on yours. If the indicator has turned red, then this could be a sign of severe water damage. Note that even if your device is damaged beyond repair, or if the repair would simply not be worth it when considering the value of the phone, there are plenty of services that can help you retrieve some or all of your data. This is also true if you just happened to erase important information by accident. However, you should note that recovery could be more difficult if it’s an IOS device. Apple phones encrypt your data before it is saved for security, so you could have more chances if it’s an Android phone. However, you could always still contact a data recovery service like Secure Data Recovery. Secure Data Recovery Android and iPhone recovery services will be able to check your device and recover important information even if the device is not powering up or is severely damaged. As you can see, there is still hope if your phone has suffered extensive water damage. Make sure that you follow the tips in this article and consider working with professionals if you want to salvage some or all of your data. keywords: What happens if I drop my phone in water?, How do you dry out a phone with water?, How can I recover data from a water damaged Samsung phone?, Can you recover data from a water damaged iPhone?